De Lucia company was founded in 1929, as agro-industry, and in 2009 incorporates the Debama SPA industry active since 1988 and specialized in printing flexible packaging. Since 2010 the company has invested heavily in the printing industry, acquiring the most up-to-date technologies in the area of flexo printing on flexible plastic film. Thanks to this way the company is able to respond effectively to the needs of flexibility typical of the agri-food industry. The company press, foil, micro-fora, cut and, thanks to the internal prepress department, can produce the clichés in total autonomy from external service. The Domenico De Lucia Spa packaging sector is BRC/IOP certified. De Lucia company was founded in 1929, as agro-industry, and in 2009 incorporates the Debama SPA industry active since 1988 and specialized in printing flexible packaging. Since 2010 the company has invested heavily in the printing industry, acquiring the most up-to-date technologies in the area of flexo printing on flexible plastic film. Thanks to this way the company is able to respond effectively to the needs of flexibility typical of the agri-food industry. The company press, foil, micro-fora, cut and, thanks to the internal prepress department, can produce the clichés in total autonomy from external service. The Domenico De Lucia Spa packaging sector is BRC/IOP certified. The modern flexography has achieved levels of excellence now comparable to the rotogravure printing, but offers the further great advantage of the sustainability of smaller orders. The printing that can be produced in flexography prints with 60 lines/cm and in addition to flexible supports such as films are few, and among them, the best are those manufactured with the system Kodak Flexcel NX-Digicap NX. They have the peculiarity of having a flat top with stable points and flat tops that, being sharper, allow to print even long runs with excellent stability and chromatic amplitude. Another great strength of the technology in which the company has invested is the continuous revision of the characterization of the printing machines according to the equipment and the types of raw materials used, anilox, inks, films, etc. This continuous characterization ensures predictable and repeatable prints over time. In addition to the Kodak NX system, the company uses flexographic gearless machines up to 10 central drum colours of the Comexi, couplers, laser microperforators and high performance cutters. 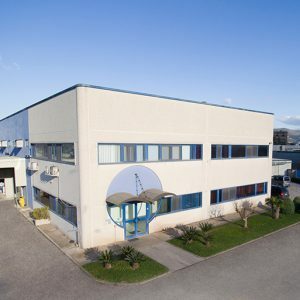 Thirty years of experience and the use of innovative technologies have enabled the company to still be present and to increase its quality standards more and more. Next to all this the professionalism of the skilled staff completes the entire production process actively. The company creates high quality products, where even the smallest detail is important but at the same time it manages to supply them in small quantities, making them usable by economic realities even of small size.